Awkward star Jillian Rose Reed’s newest project “Finding Alice” is being accepted as an official selection at the 2014 Action on Film International Film Festival for both a short film and the written word competition. “Finding Alice” is a short film produced for the Breaking the Chains campaign. Reed is the official celebrity spokesperson and producer of Breaking The Chains, a global non-profit artistic based charity that aims to provide awareness, understanding and support for those affected by eating disorders. – Action on Film is rated in Movie Maker Magazine as one of the top 25 festivals both domestically and internationally. 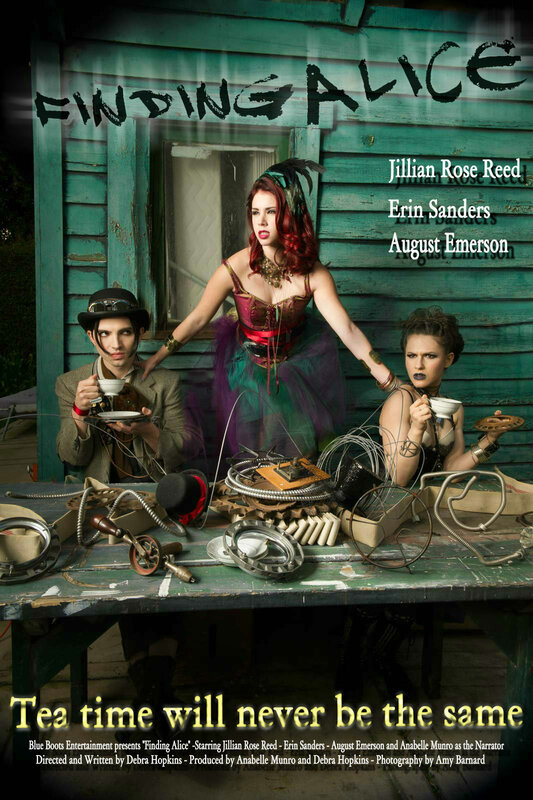 Jillian Rose Reed’s Breaking The Chains Project Launches On IndieGogo – WATCH NOW! MTV Awkward star Jillian Rose Reed serves as the official celebrity spokesperson and is also a producer on the project. Jillian Rose Reed is participating in. She is a producer on the Breaking the Chains project, a campaign that aims to change the face of eating disorders. They launched a Kickstarter campaign on Friday, May 16th. “I think it’s no secret that everyone is effected one way or the other by this disease that we want to shed light on”, said Jillian Rose Reed (MTV’s Awkward), on the freshly launched kickstarter campaign video for the song “My Worst Enemy” (performed by Reed), whose goal it is to help crowd-finance a music video to a song about the inner emotional turmoil of having an eating disorder. Reed, together with a group of Hollywood Entertainment professionals, including creator/writer/ producer/director Debra Hopkins, producer/director Anabelle Munro, and Jillian Rose Reed’s fellow Hollywood celebrity colleagues, Erin Sanders and August Emerson, will star with her in the video. All have joined forces to help give this cause a brand new voice. The community they want to build carries the powerful name “Breaking The Chains” and this is exactly what the group wants to do. The campaign that Hopkins founded is a new, art forum and educational based community that wants to demystify the many misconceptions of eating disorders. You can learn more here: https://www.kickstarter.com/projects/800934521/my-worst-enemy.